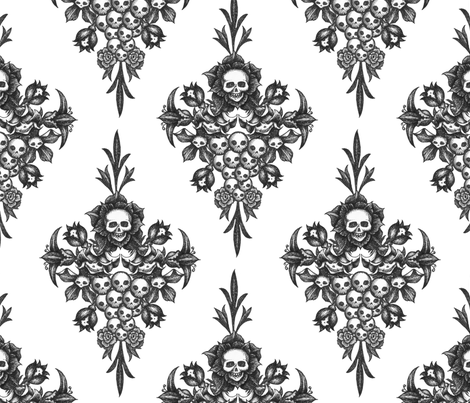 Are you looking for spooky fabric or possibly some awesome wallpaper? 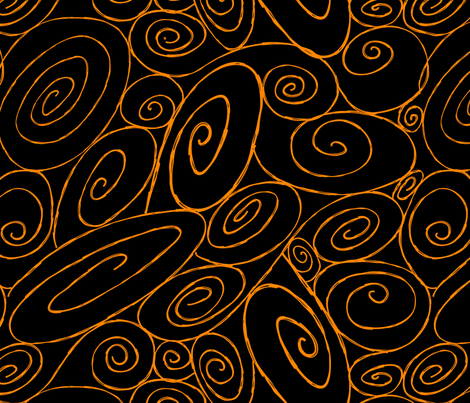 Wrapping paper, maybe? How about some spooky based bottles or Halloweeny stuff? 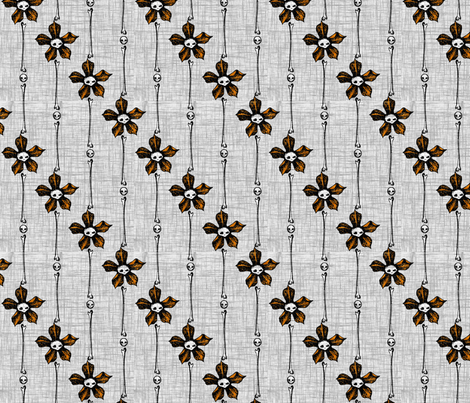 You have got to check out The Calvarium on Spoonflower for the Wallpaper, Fabric and Wrapping paper!. Jeremiah Witting is the designer, and yes he hand draws his designs. He also has an Etsy story where he sells bottles, tombstones, and the like. I met Jeremiah, although briefly, while at West Coast Haunters Convention. We chatted while I was taking Monsters picture at his shop. I did, rather quickly, parooze through his fabric samples, mainly because I knew I would want to buy buy buy everything!! I did tell him though that once I get moved down to Vancouver, WA and get the new house, I will definitely be buying from him! Shipping to Alaska is well… not going to happen. I wish the best for him and hope his stuff takes off like gang busters!! He is awesomeness all wrapped up in a human package. If you go here you can Like The Calvarium on Facebook… which is a total must if you want to see the new designs that are coming out. The Calvarium Etsy store can be found here. Here are some samples of his work… and Monster wanted to make an appearance. I have been dragging my feet for far too long. Yes, I have had my share of set backs with life changing my path on a constant basis for the last couple of years. I am determined, I am a bull in the proverbial China Shop and I promise to smash all of life’s crappy China and glass to smithereens. We, my friends, are going to make glitter…ok, maybe not glitter since I’m not the glittery type. We are going to make pretty sparkling pixie dust. I have been also dragging my feet where my new artsy business is concerned. I have had excuse after excuse after excuse. One of the main things that has stopped me is not getting a website built for it. I put off the business cards because I want them to match the website. …and on and on. I finally settle on what I wanted the website to look like. I knew I wanted an attic feel to it but not to be so creepy as to scare off non-spooky art buyers. Some of what I will sell won’t be spooky based. My business name is The Whimsy Attic, so I needed to set out finding this ‘atticy’ feeling picture. I didn’t want to go find a picture that was prebuilt or ‘perfect’ out of the box. I want to add my own touch to it and make it more me. 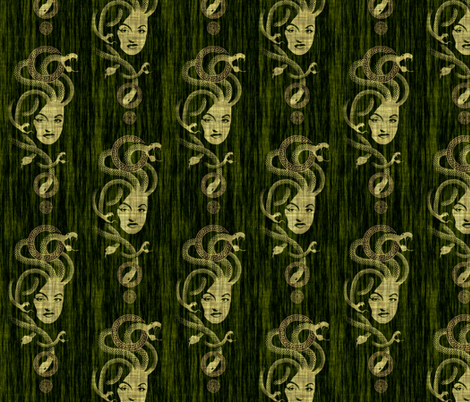 The header on this Boo Spooky site, I created from scratch. The tree was something I had hand drawn during a meeting at work, and every thing else was either drawn in or added after slightly changing something. After searching and searching for pictures of attics, I put my head to it this weekend and had an AH HA moment when I found a certain picture. It had the colors, angle and look that I wanted. I searched and searched some more but kept coming back to this one photo. After going back to it and reading the description, I was hooked. Now all I need to do was get the Photographers permission to use it, or purchase it so that I could get to adding to it. I spoke with the Photographer via Facebook email and he graciously has allowed me to download two of his photos. I had actually found a second photo and need to decide on which will work best. I will give him credit for the original image with his Copyright then Copyright it again under The Whimsy Attic so that no one will steal what I have added to his image. The Photographer is Frank C. Grace of Trig Photography. Frank is a awesome photographer and you guys should check out his stuff. Give him kudo’s for being awesome about allowing me to use his photo and give him props for his awesome work. A HUGE plus…he likes Paranormal stuff!!! Tomorrow will be 6 weeks since my Wicket has gained his angel wings. I still cry on a daily basis and at times it can be the oddest thing that sets it off. Typically though it is once I have laid down to go to bed, when my brain gets to roam free and not think of work or daily chores that I find despair again. There are times that something on the TV will set me off and on occasion I will find myself in the bathroom at work quietly crying. I miss him beyond anything I can put in to words but I move forward with his memories and knowing that he is always with me. I will be making a memorial shadow box soon, I just need to get a picture printed of him and paint the box that I picked up for his cremains, I don’t know how I’m going to paint it yet, but it will come. Wicket helped me make some awesome friends. If it wasn’t for my little man, and me wanting him to meet new puppy friends and get exercise at the Dog Park, I would not have met the group of people that came together to have a Memorial Bead made for me. The bead was made by an awesome artist, and fellow dog friend, Elise Strauss. She makes beautiful glass lampwork beads along with the Memorial beads. You can see her work on her business page Koi Creek Beadworks and see some items on her Etsy site. Artist Spotlight… Dead Buddies by Jennifer Burns! Jennifer and I have never met in person but have socialized on Facebook for years. I have followed her Halloween and professional set painting with enthusiasm. I have teased her for years to please create some set painting video’s, for those of us that live far to far away to go watch her in action. One day Jennifer, one day I will either be stalking you on set or those dang videos will magically appear! As a new artist you quickly learn that you need to find your niche. Either it be a special way all of your creations will look, or a theme that you lovingly stick to because it drives you. Jennifer found her’s and I fully admit that I am jealous!! I have my niche via theme but she has broke the mold where niche’s go. I will quit yammering and show you what I mean. I now present you with Dead Buddies!! Hello interweb friends… I’m alive! For those that don’t follow me on Facebook, well you should because I tend to update more over there, I have been busy before Christmas with creating a Jack Skellington and Zero for a Christmas Door Decorating Contest. There were three categories Most Traditional, Most Original and Most Tackiest door, then there was a Judges Favorite award as well. I toyed with the idea of doing a Scrooge with the three Ghosts but knew I didn’t have enough time to create 4 full sized bodies, heck I barely was able to get Jack, Zero and the Evil Wreath completed in time. The outcome of the contest? I won Most Original and the group that won Most Traditional also won Judges Favorite…even though numerous people came and told me that ours should have won. I had thought about telling people they were for sale but didn’t know how well that would fly at work, didn’t want them to say I was moonlighting at work, etc. To my surprise, people asked me instead! So as of tomorrow, they both go to new homes. The lady that bought Jack wanted to buy both Jack and Zero but I had already promised Zero to someone else, so I told her that I would make her another Zero. I paid the price by making these two guys in 40 hours. My Carpal Tunnel Syndrome is PISSED off. I need to go in and have Physical Therapy, I’m waiting on the Doc’s office to tell me that they faxed the referral over. My Doc’s office seem to take a very long time to do anything. It took them three weeks to get back with me on the results of the MRI on my knee. Good thing I wasn’t fighting cancer and needed to start Chemo right away! The only reason I keep going there is because it is where I use to work. The MRI results? I may have a partial tear of my ACL in my right knee. Have an appointment with an Ortho next week to get my knee evaluated. We have a contest! Jodi Cain that is Tattered Rags art Dolls, has a Christmas giveaway for one of her dolls. Her dolls are fabtabulous!!! To enter go to her Giveaway website and follow the instructions. Here is the doll she will be giving away on December 20th. We have Spooky Hallow on Etsy!! Carmen does some awesome work. Love the whimsy’ness of her art. I can’t guarantee the items I show you will still be available… so hurry and check out all her other goodies! PumpkinRot has done it again. If I could just pluck out his imagination and meld it with my own… Frightfulish things would occur, at least in my own realm. They are already occurring within his own….